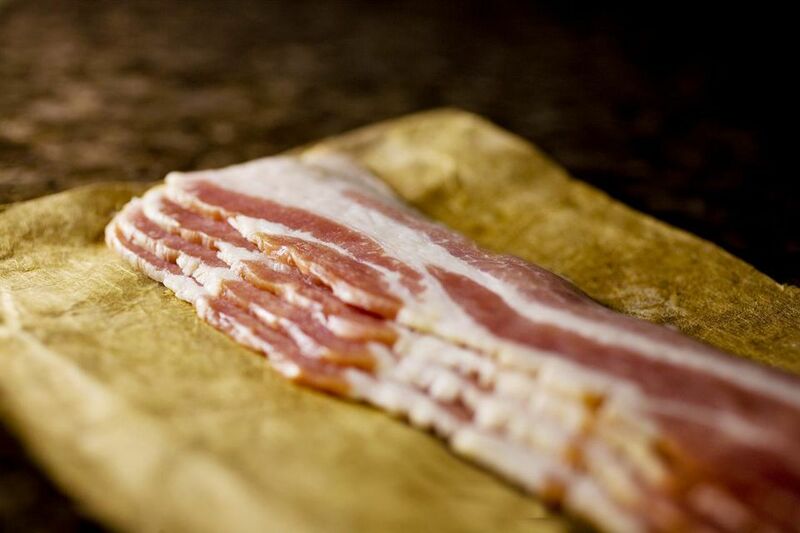 Most bacon nowadays is packaged with a peek-flap on the back, so you can get a good view of the fat-to-meat ratio. If you are using the bacon as a side dish for breakfast, you might want to select a leaner package. More fat is desirable for other cooking applications. Use your own judgment for your specific recipe. Packaged sliced bacon can be kept in its unopened vacuum-sealed package in the refrigerator up to a week past the expiration date. Once opened, keep it tightly wrapped in foil or a zip-top bag and use within one week. Sealed packages of bacon can be frozen up to one month before the fat begins to go rancid. You can separate a package of bacon into 4-piece serving sizes for freezing. Be sure they are very tightly wrapped in plastic wrap, then foil, and labeled with the date. These frozen single portions will keep several weeks in the freezer. Plan in advance to thaw bacon in the refrigerator to reduce splatters during cooking. Cooked bacon is nice to have on hand, whether you are crumbling it to use in a recipe or just to warm up for a quick breakfast. It also extends freezer life of the bacon. Cook the bacon to one level below how you like it done, drain on paper towels and cool. Seal in a plastic bag and refrigerate up to five days. Cooked bacon can easily be frozen. Wrap individual portions in paper towels to cushion. Then place the towel-wrapped portions into a zip-top bag. Freeze and store for up to six weeks. Frozen cooked bacon can go right into the frying pan from the freezer. Cook about a minute in a hot pan or until the desired doneness is achieved. It can also be warmed in the microwave. The time will vary depending on the wattage of your particular microwave, but usually, about 30 seconds will do the trick. Slab bacon should be tightly wrapped and will keep several weeks in the refrigerator, depending on the freshness factor when you buy it. The ends may darken and dry out and should be sliced off and discarded before using. Freezing a slab of bacon is not recommended. The salt tends to make the fat turn rancid very quickly when frozen.